Palm Beach™ polysatin shutters are fabricated from a polysatin compound that will not warp, crack, chip or shrink. 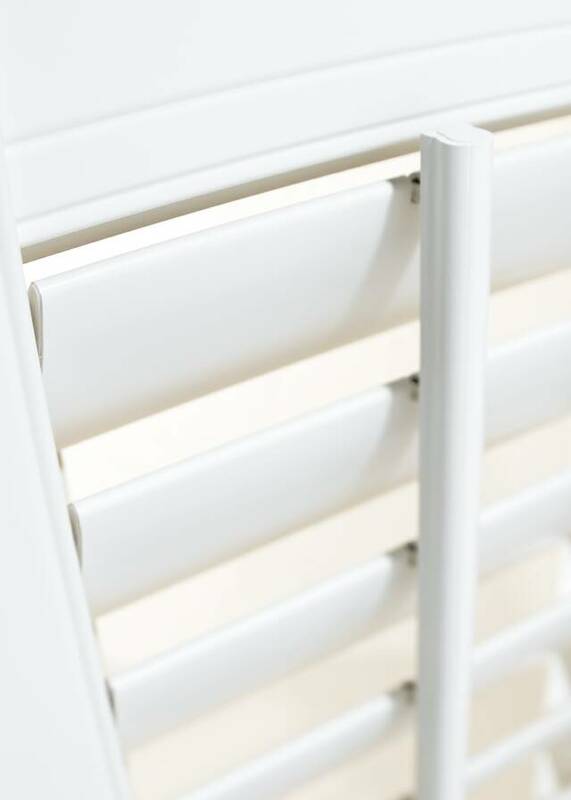 They come in three louver sizes (2 1/2, 3 1/2, and 4 1/2) and four popular off-whites, with a lustrous semi-gloss finish that permeates the shutters, so that they will not fade or peel. Palm Beach™ polysatin shutters combine the best of both worlds: attractive good looks and low maintenance. 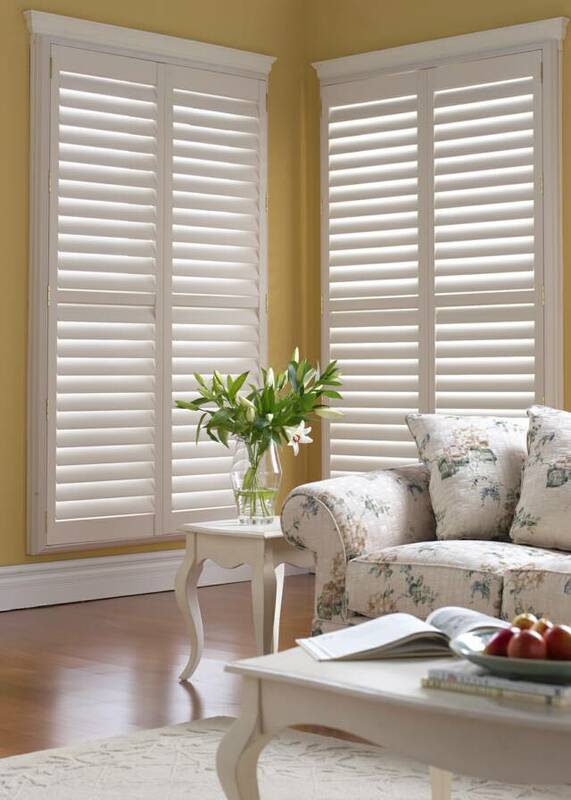 This enables you to enjoy the elegant appearance of shutters in any interior space-without worrying about warping, fading, chipping, or excessive wear. Palm Beach shutters come in three louver sizes and three operating systems. Lantana™ is our patented gear-driven system and Palmetto™ offers the classic look of a traditional tilt bar system. The TruView™ rear tilt system offers a sleek tilt bar design for a better view. All styles feature sleek lines, smooth operation, and our exclusive equidistant louver spacing. Optional configurations within these systems include: double hung windows; cafe windows; bay and bow windows; French doors; patio doors and specialty shape windows. 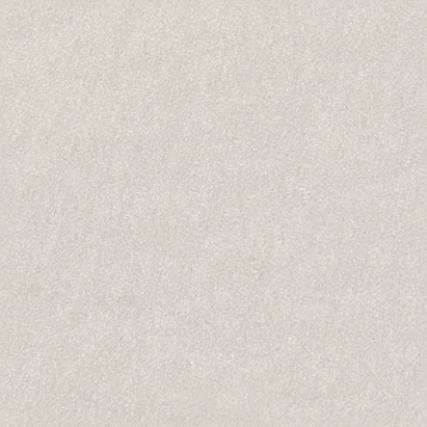 Palm Beach™ polysatin shutters are a beautiful combination of style, versatility and durability that add a warm, rich dimension to any setting. Made from our uniquely formulated, exceptionally resistant compounds that are engineered to easily handle the most demanding performance requirements without warping, fading or chipping. 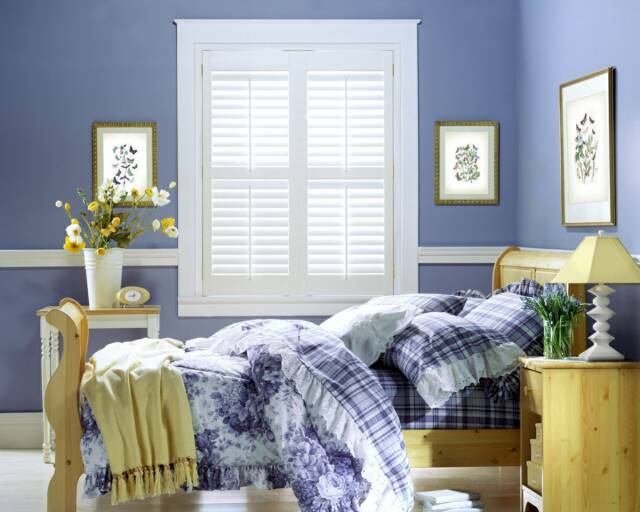 Palm Beach™ polysatin shutters are the elegant choice for people who want timeless beauty that lasts a lifetime. Palm Beach shutters are created with UV resistant poly-satin compounds which means that they will not warp, crack, shrink, or chip. They’re also unaffected by temperature or moisture. Palm Beach shutters come in three louver sizes and popular white and off-white colors. Buy them with or without a tilt bar.